This weekend we attended an event for 60 people held at Le Ryad at Ngor Virage. (Yup, the same restaurant, owner and amazing apricot chicken as the former location in Almadies!) 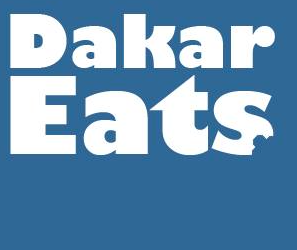 The evening was wonderful and I considered myself ‘off duty’ for Dakar Eats so didn’t take many photos… but the experience was just so good (especially considering the size of our group!) that I had to share. We arrived to cocktails and finger foods including incredible grilled chicken wings and savory pastry bundles wrapped around grounds almond & chicken… So fresh and delicious. The buffet was ready right on time and included chicken with olives, a beef tagine dish, fish dish, apricot chicken (yay!) with couscous, veggies, delicate angel hair pasta that was so flavorful… Then the dessert trays and and mint tea just kept circulating. All evening the service was excellent. Speedy, attentive, smiling and polite. We could not have asked for a better host for this event. My review of Le Ryad is here, but definitely keep them in mind for buffets and events! So easy to work with, in French or English.